Construction: approx. 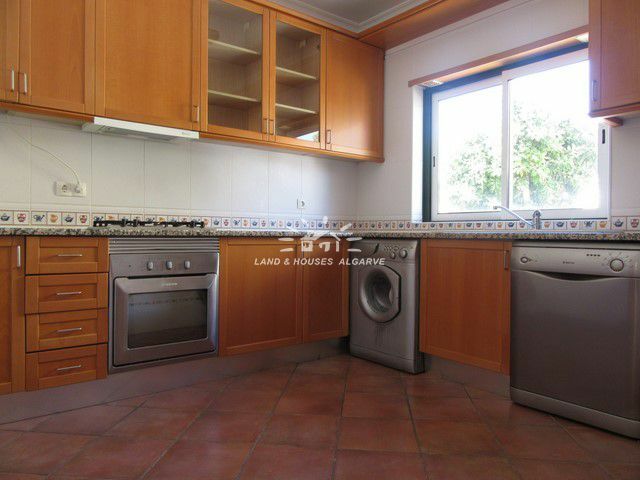 173 m2 (excl. garage of approx. 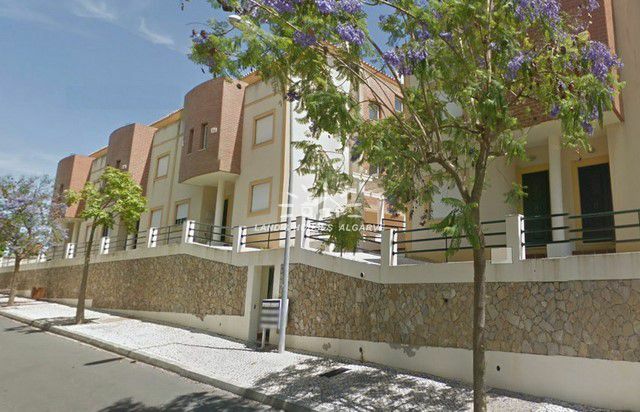 26 m2, patio of 18 m2 and terraces of 11 m2), built in 2003. Description: VENDOR LOOKING FOR QUICK SALE! 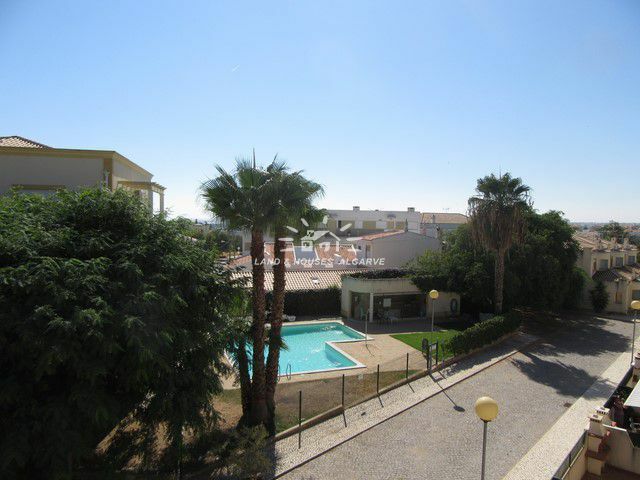 Located in a quiet and tree-lined street in the parish of Conceicao at a five minute drive from coastal town Tavira in the Eastern Algarve, this South-facing three bedroom/three bathroom townhouse with garage enjoys beautiful sun terraces and access to a communal swimming pool. Conceicao offers all amenities that you need and is particularly known for the 18-hole Benamor golf course and its proximity to the charming town and blue flag beach of Cabanas. The end of terrace home consists on the ground floor of a bathroom, a fully fitted and equipped kitchen, in addition to a living room with wood burning stove and access onto a sun-filled patio area (18 m2) with BBQ. From the hallway a staircase leads to the first floor comprising of a bathroom and two large double bedrooms (one of them with access onto a balcony overlooking the pool). 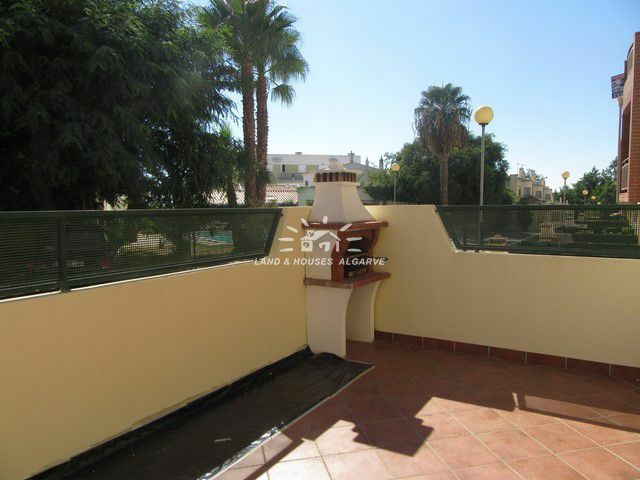 The top floor offers a large landing from where you can reach a bathroom and the third double bedroom with balcony enjoying a pretty sea view. All bedroom are fitted with built-in wardrobes. 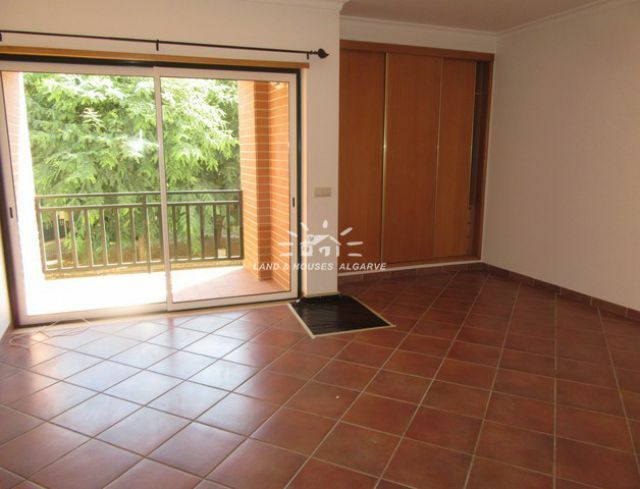 The garage is of double height and can be reached via an external staircase from the property. 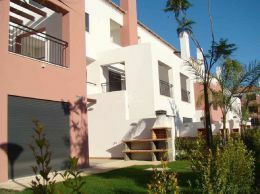 The townhouse benefits from ceramic floor tiles, double glazing, electric shutters, pre-installation for air-conditioning. Mains water, gas, electricity and drainage. Distances: Faro: 33 km; Beach: 2 km; Tavira: 4 Km; Golf: 100 m.
Details: * 3 bedrooms * 3 bathrooms * garage * sunny outside spaces * communal swimming pool * quiet area * close to all amenities * beautiful wide views * wood burning stove * fitted BBQ * built in wardrobes * ceramic floor tiles * double glazing * shutters in all windows * pre-installation for air-conditioning * Sat-TV * telephone connection * alarm system * Energy certificate class D.